2019: Kindness is My Religion! 26 January 201723 March 2019 – News, Stories and Ideas to Make the World a Better PlaceLet’s Change the World!WITADA’s WITADAThe Gay Marriage Debate: Says a lot about us.Inspirational Leaders: Steve Biko16 March 2019 – News, Stories and Ideas to Make the World a Better Place9 February 2019 – News, Stories and Ideas to Make the World a Better Place2017: A New Year to Create Opportunities for Change!2019: Kindness is My Religion! Check out our latest posts on our Articles and Stories page! And keep an eye out for our new series – ‘What Do You Know’ – where we provide an overview of some of the most important social issues as well as ideas for action. WITADA Would Love to Have Your Story: We would love to have your WITADA displayed on our site. If you are interested in writing about what you think and dream about, please send us a short email or pop along to our new questionnaire that will help you share your WITADA with us. We would love to hear from you. NEWSLETTER: Subscribing to our Newsletter means that you receive all of our Posts and our Weekly Top 10 each week. Then we arrive in your inbox on a regular basis! 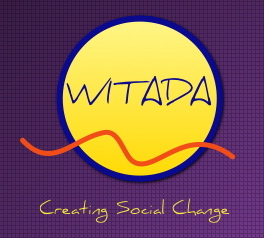 FACEBOOK: The WITADA Facebook page is going from strength to strength and we are excited about the community of people coming together to read our posts and hopefully to share their ideas. Go along to our Facebook page and have a look.